New Documents Show US Military Estimated Invasion of Cuba Would Cost 18,500 US Casualties…. 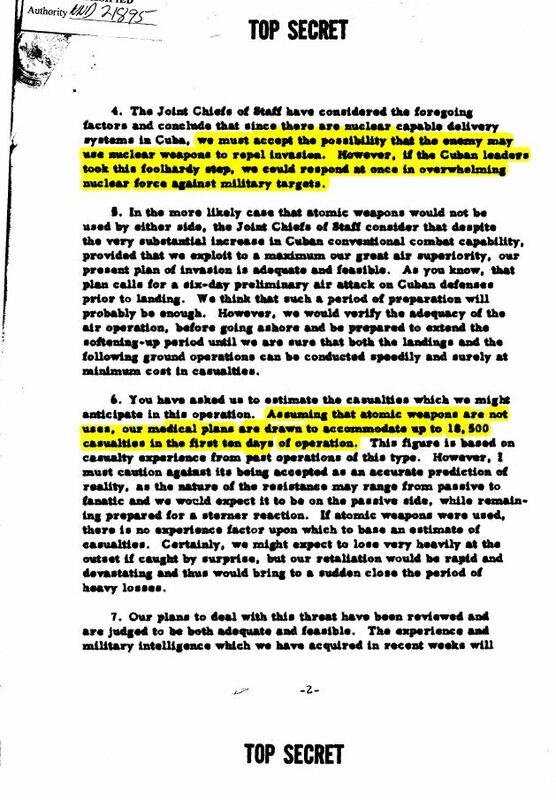 Assuming the Cubans Wouldn’t Take the “Foolhardy Step” of Using Nukes. To commemorate the Fiftieth anniversary of the Cuban Missile Crisis, The National Security Archive has posted a slew of newly declassified documents. Perhaps the most jarring of these –here is the NY Times’s summary— is a formerly Top Secret memo written on 2 October 1962 by Chairman of the Joint Chiefs of Staff, General Maxwell Taylor, assessing that the US could likely invade Cuba at a cost of an estimated 18,500 casualties –assuming the Cubans did not take the “foolhardy step” of launching nuclear weapons. 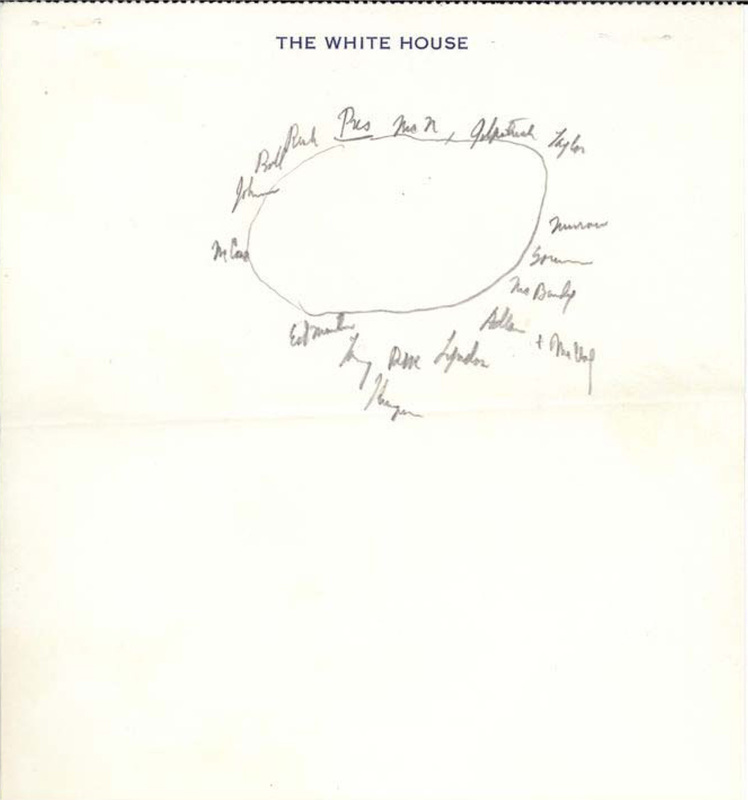 Earlier this week, the Archive’s Peter Kornbluh also posted newly declassified documents from Robert F. Kennedy’s Cuban Missile Crisis files held by the John F. Kennedy Presidential Library. 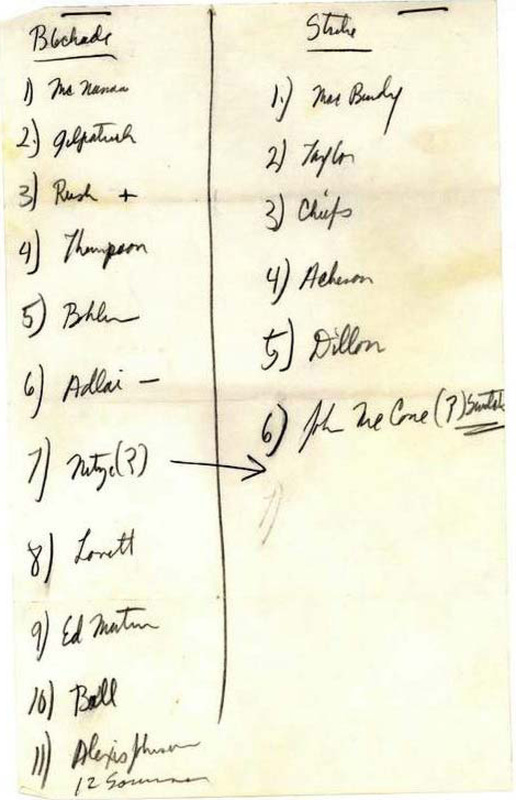 These include a draft letter to Fidel Castro, RFK’s sketch of the seating arrangements during the first ExComm meeting, as well as his list of “hawks” (who favored force) and “doves” (who favored diplomacy). …Wonder if one of these exists for the Geronimo watch party? Finally, the Archive’s Svetlana Savranskaya has posted documents (and published a book) examining the Cuban Missile Crisis from the Soviet side. The Soviet documents –from the Anastas Mikoyan Archive, include the minutes to the four-hour November 1962 conversation in which the Old Bolshevik Mikoyan told Fidel Castro that the Soviets would also be removing their tactical nuclear weapons from Cuban territory. Fidel responded by pleading to keep the “offensive” weapons (“Maybe we could use them to defend our commercial fishing ships?”), and blaming the entire Missile Crisis on the Soviets (“Obviously, the Soviet military specialists did not undertake all necessary measures to camouflage the missiles”). How do these revelations make you feel about the 4,000-plus operational nuclear weapons still stationed around the globe? Wow these documents are really interesting, thanks for sharing. That is a really good write well done, the image caught my eye. We have just wrote a similar article about Cuba that you might want to read too, have a great day.